High in natural B-Complex. Has been used for many years in products that are promoted to shield the animal from parasites. 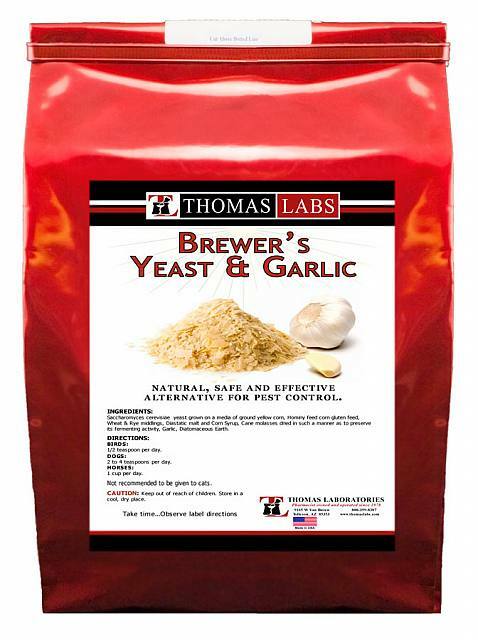 The theory of this protection is that after giving Brewer’s Yeast, the blood of the host animal becomes very bitter to the external parasite, thereby the external parasite will not bite or want to be on the host animal.